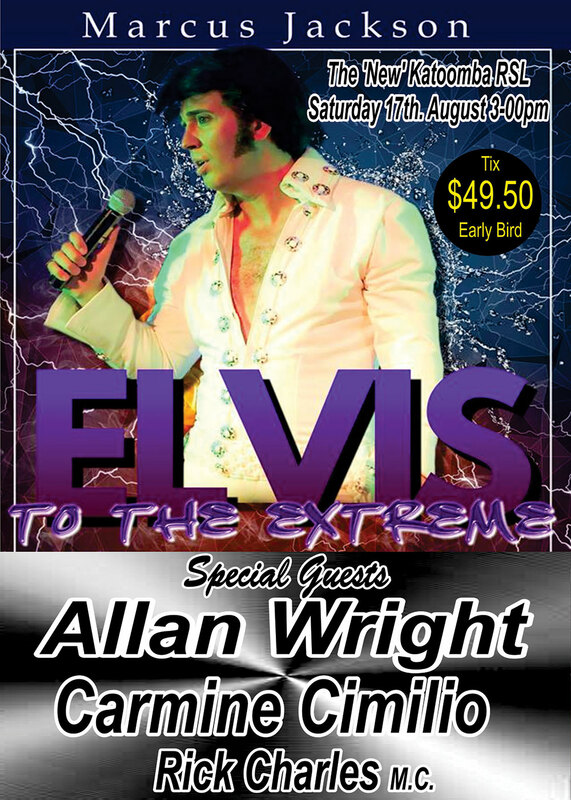 Held every year in August in Katoomba, New South Wales, the Blue Mountains Elvis Festival features some of the finest ETAs in Australia, along with a range of attractions and activities, indoors and out. 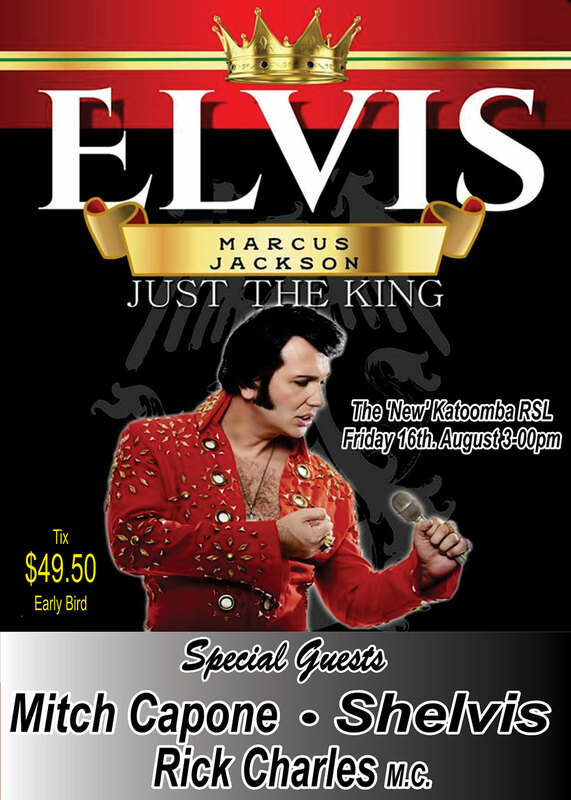 Tickets are now available for the 5 Feature Shows at the “New” Katoomba RSL, plus this year’s Opening Gala Dinner at the Palais Royale. 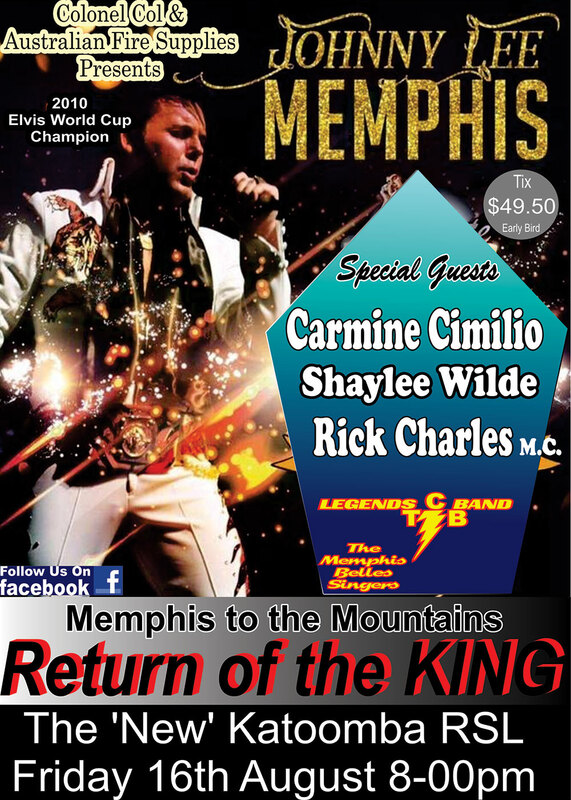 Featuring world-class performers Johhny Lee Memphis, Marcus Jackson, Carmine Cimilio, Allan Wright, Stuey V, Terry Leonard, Shelvis, Rick Charles, Mitch Capone, Shaylee Wilde, Vince Gelonese & The Memphis Cowboys, BIll & Darlene Croft. 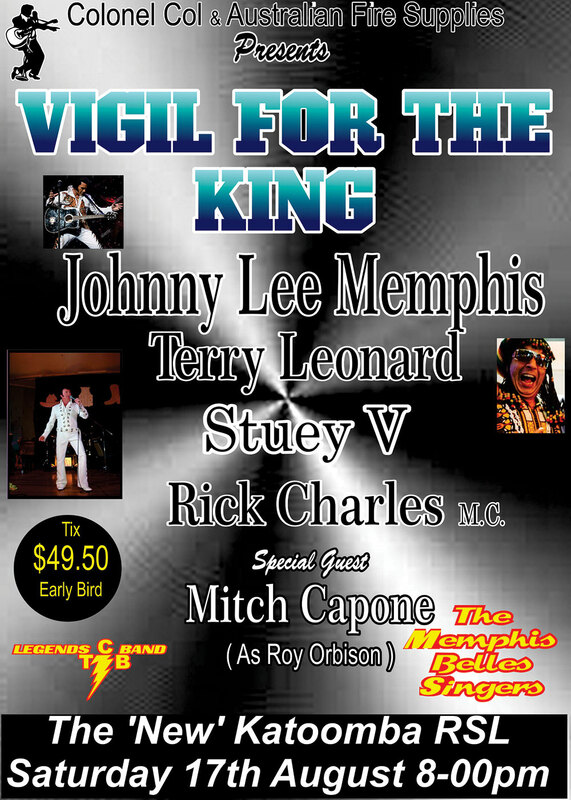 Backed by the Legends TCB Band and the Memphis Belles. Book early for best reserved seats. 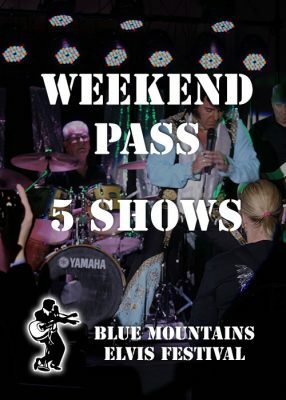 Book your weekend pass and opening dinner tickets now. 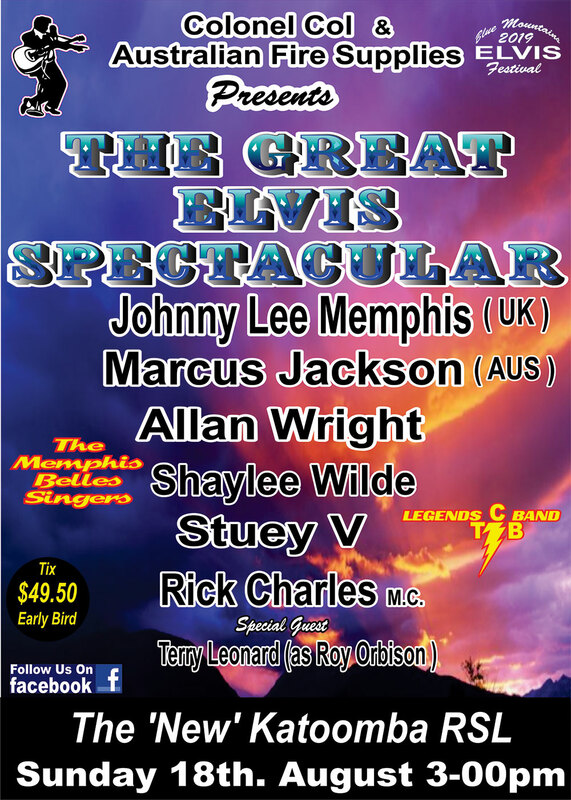 Weekend passes provide entry to all FIVE feature shows at the Blue Mountains Elvis Festival 2019, featuring world-class performers, including Johhny Lee Memphis, Marcus Jackson, Stuey V, Allan Wright, Terry Leonard, Shelvis and more. 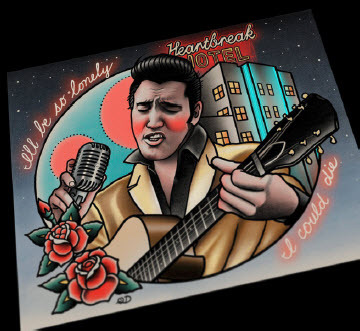 New accommodation packages are available at the “Heartbreak Hotel” (YHA), conveniently located at 207 Katoomba Street, opposite the Palais Royale. 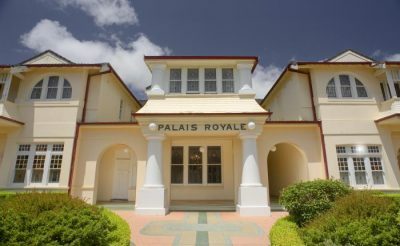 There are a variety of room sharing options and prices to suit every budget.